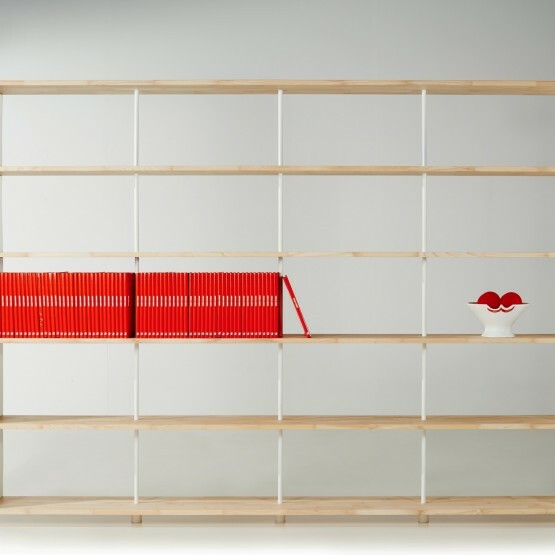 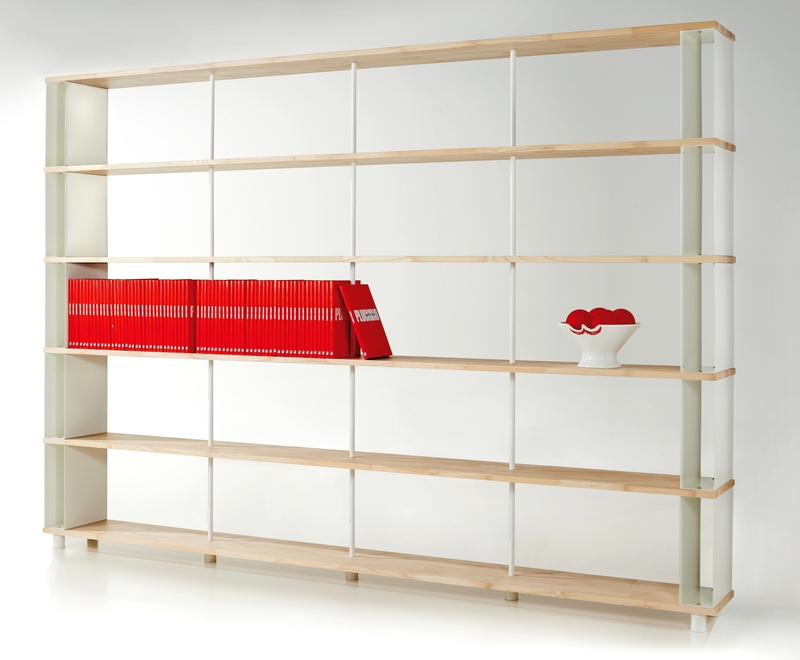 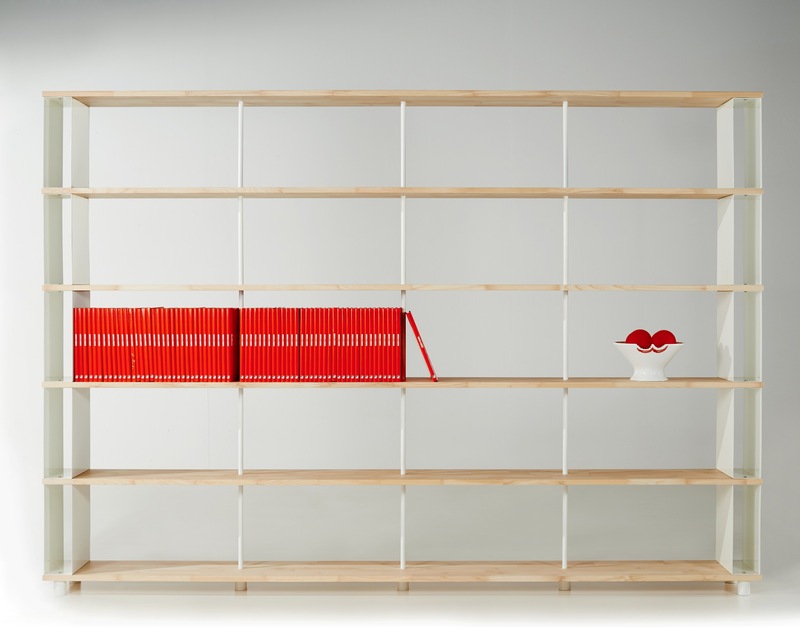 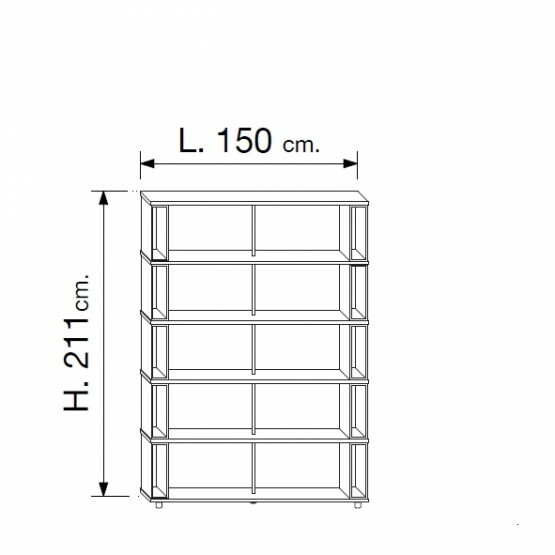 Skaffa Wood - Modular Made in Italy solid wood bookcase. 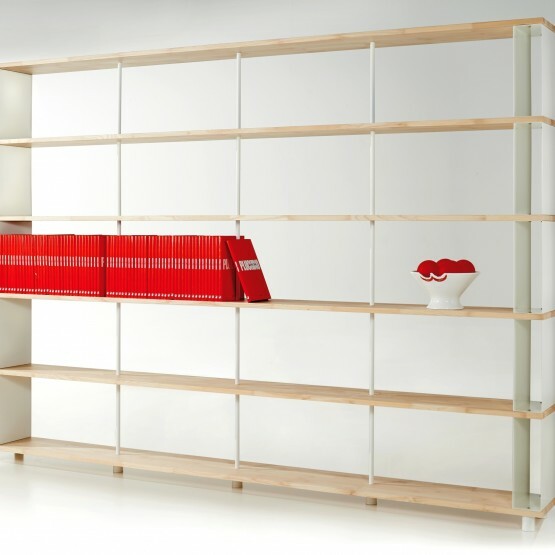 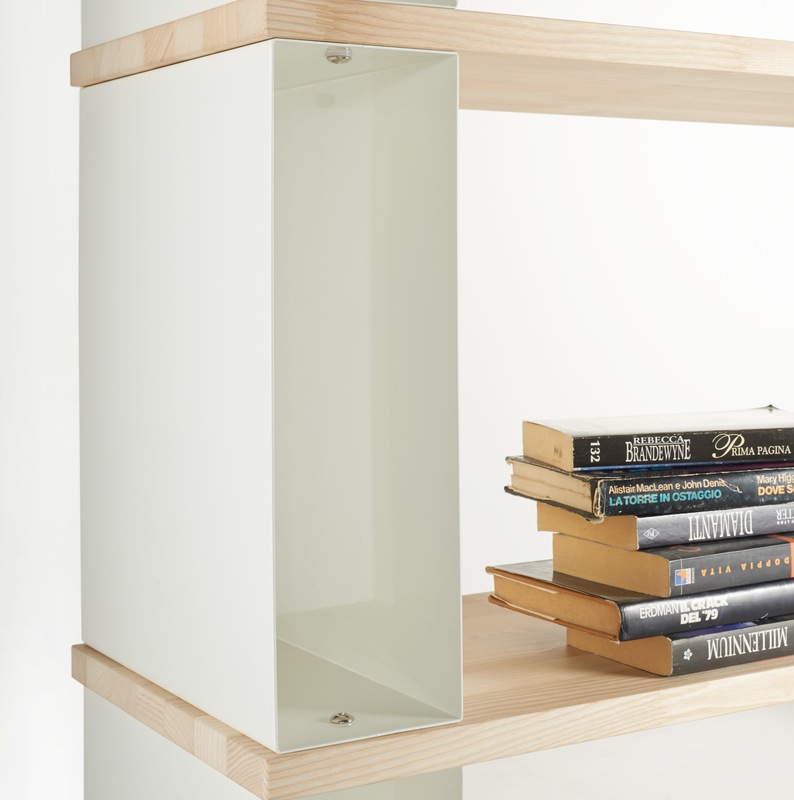 Skaffa Wood bookcases are easily transportable and may be assembled with a few screws and a simple instruction sheet. 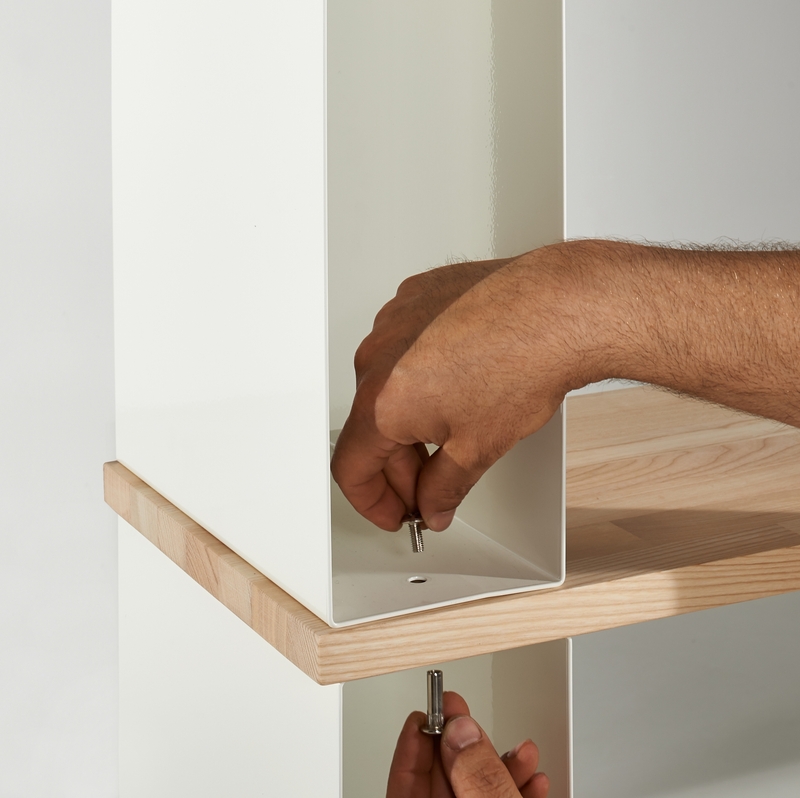 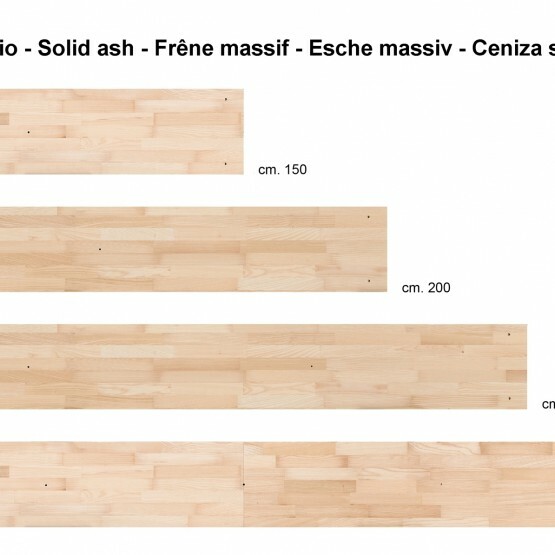 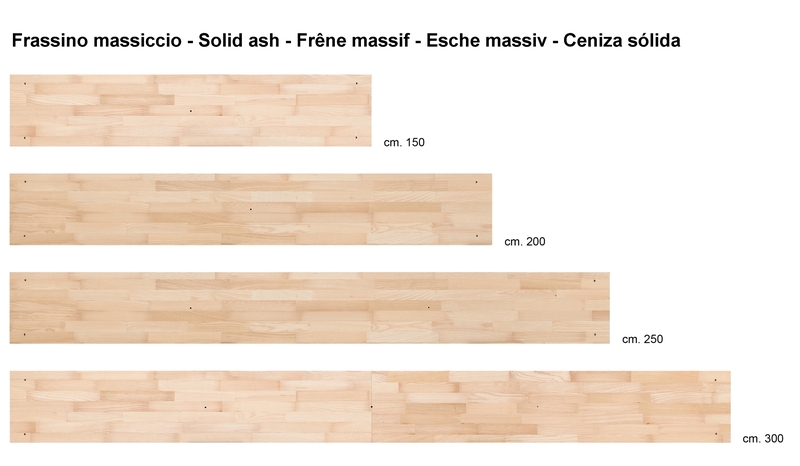 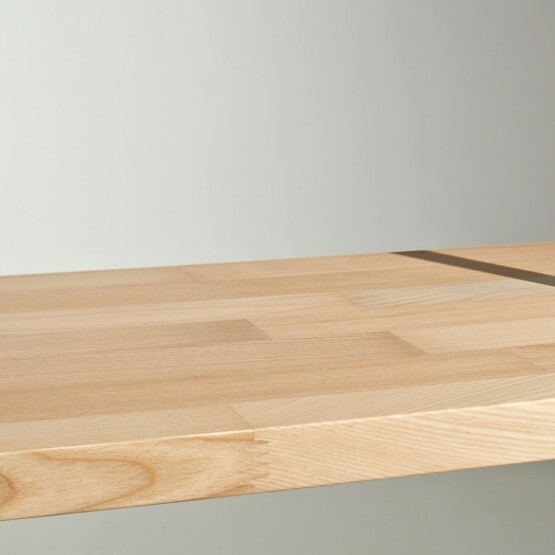 The wood used for the shelves are laminated solid beech, 25 mm /1” thick. 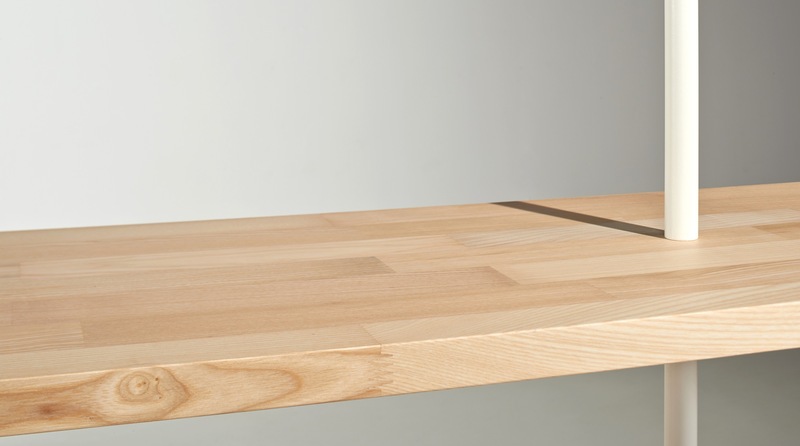 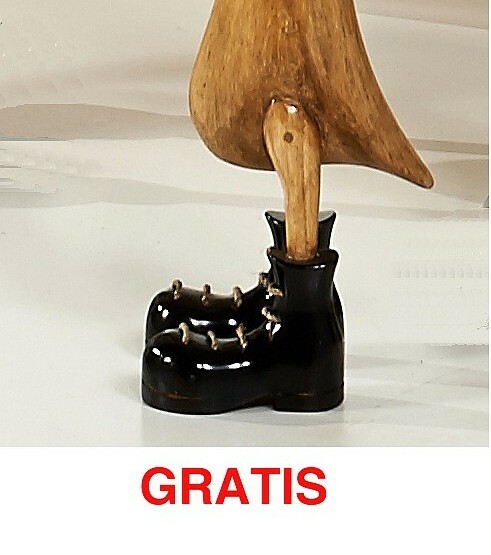 The wood is protected by coating, but you still can feel the grain and the natural roughness. 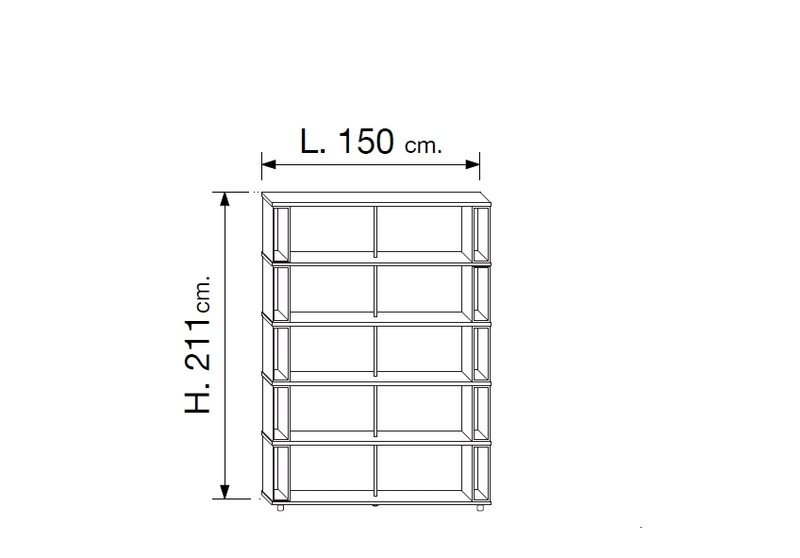 The width measures are: 150, 200, 250 and 300 cm. 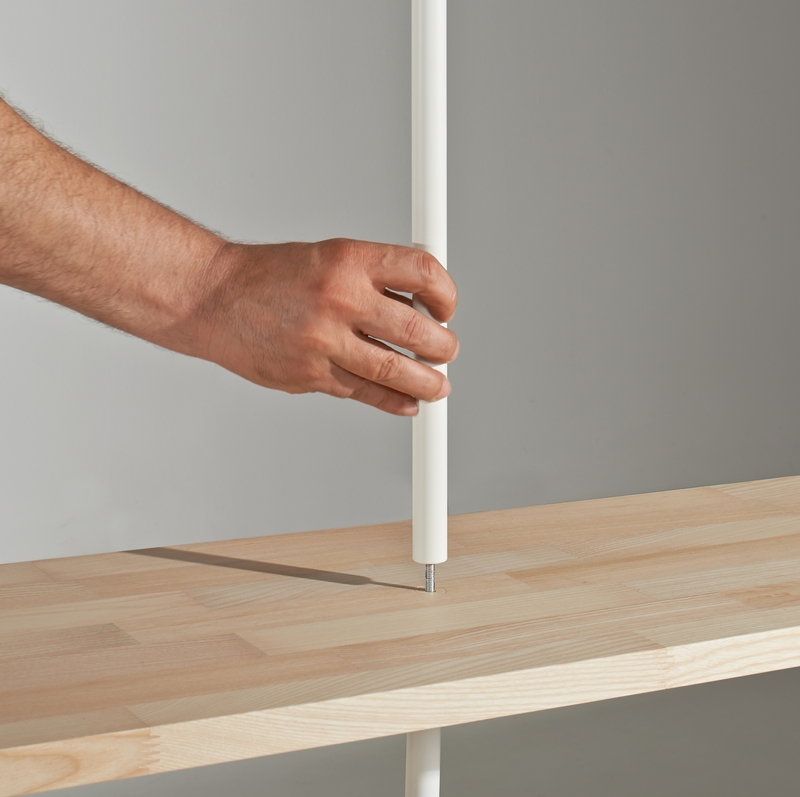 and multiples that can be joined.